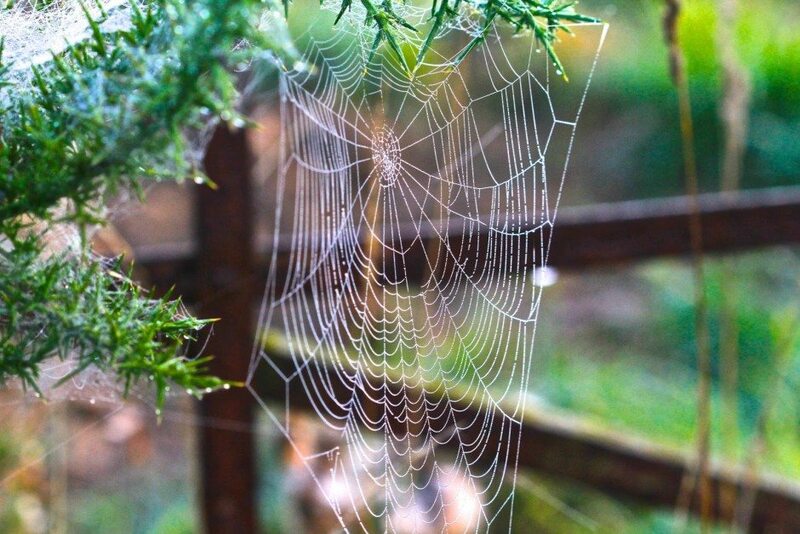 Dripping with morning dew, these silken webs are at their most luminous. Later they fade into dry vegetation, invisible again. 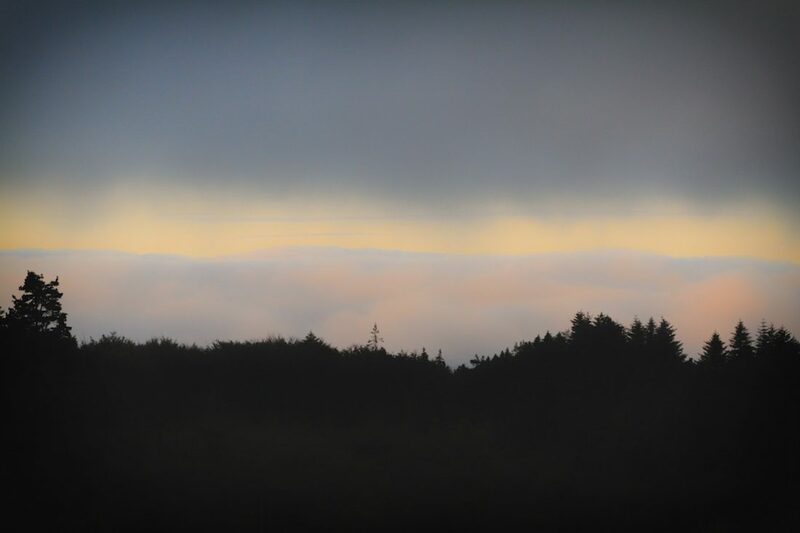 Damp and dark they shimmer on the branches, woven art works hanging between the gorse and the brambles. Sometimes they are stretched . . .